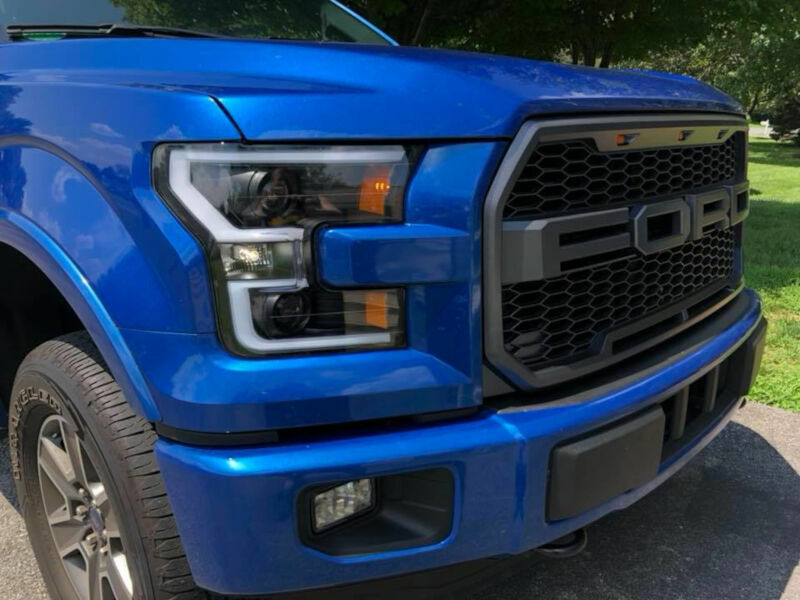 While even the baseline factory halogen headlights on the 2015 to 2017 F150s are pretty stylish, they don't really cut it when it comes to either their light output or their overall look if you have a more aggressive styling theme in mind for your truck. 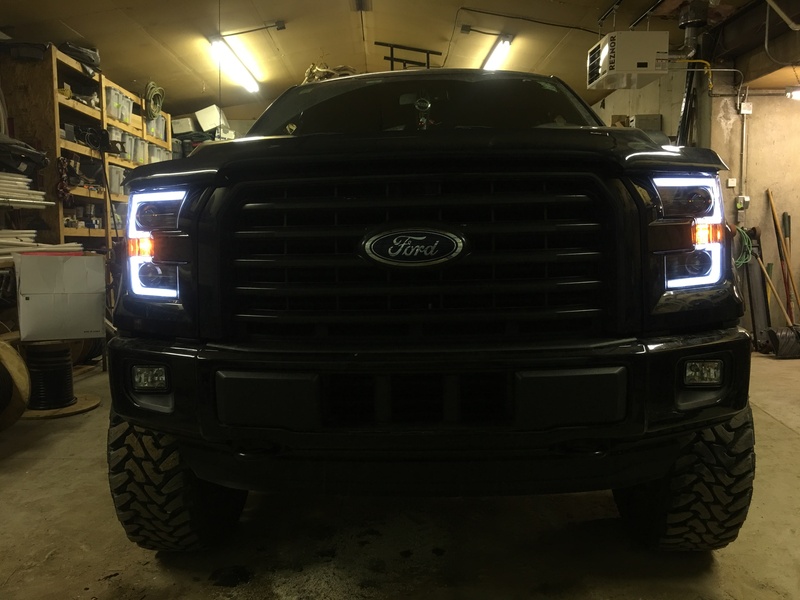 ANZO's 2015 to 2017 F150 LED Outline Projector Headlights are some of the most awesome and aggressive aftermarket headlights you can grab for your truck. 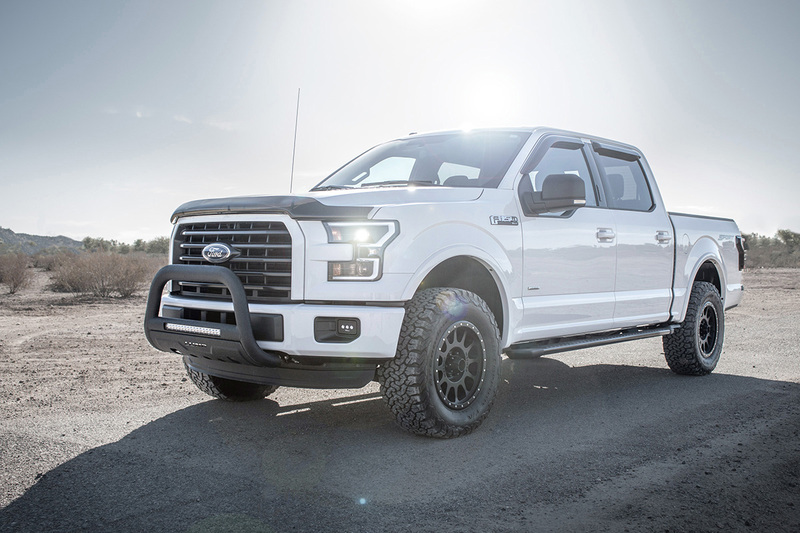 Designed specifically for 2015-2017 F150s with base halogen reflector headlights, ANZO's headlights feature a dual projector lens design for both the high beams and the low beams set in a black housing that completely changes the looks and character of your hyper-tough F150 build. 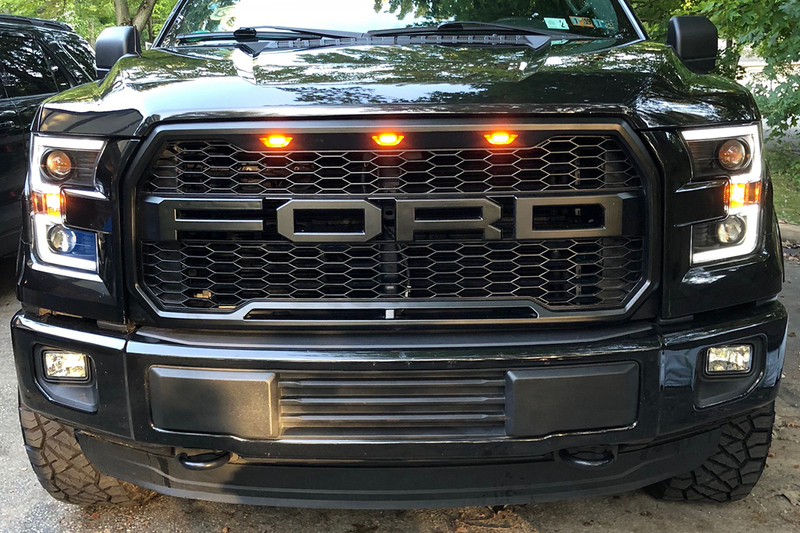 ANZO's headlights even have an OE-style LED outline strip that functions as both a white running light and amber turn signals to make your F150 really turn a few heads. 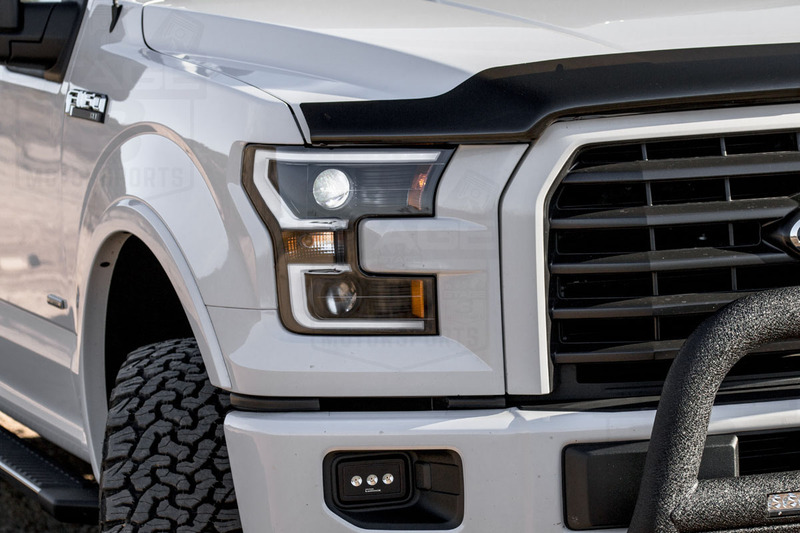 ANZO's headlights were carefully designed as drop-in, plug-and-play replacement headlights for your 2015 to 2017 F150 that will give your truck an aggressive, new look in practically no time. 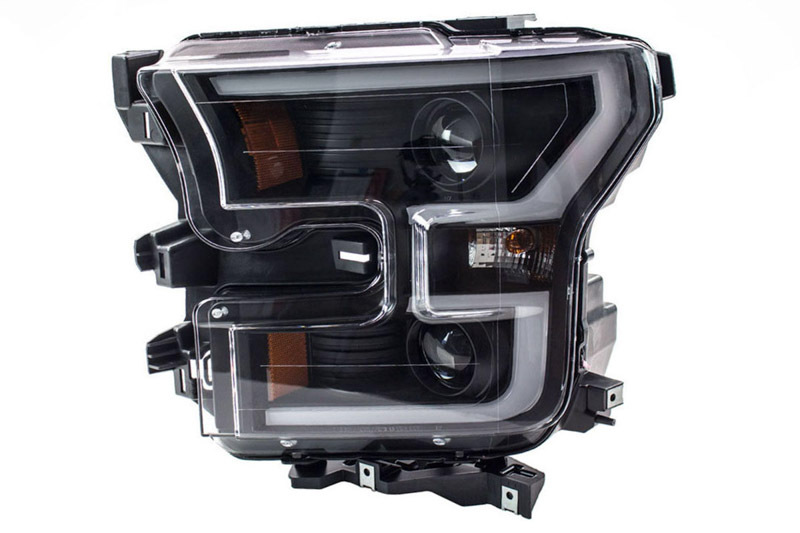 The headlights install right in place of stock and have easy plug-and-play wiring connectors for both projectors, and only minor wiring for their LED outline strip. 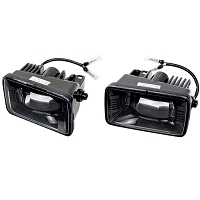 Both the low beam and high beam projector use an H7 halogen bulb and provide excellent levels of brightness and output with a more distinct cutoff over the factory headlights. 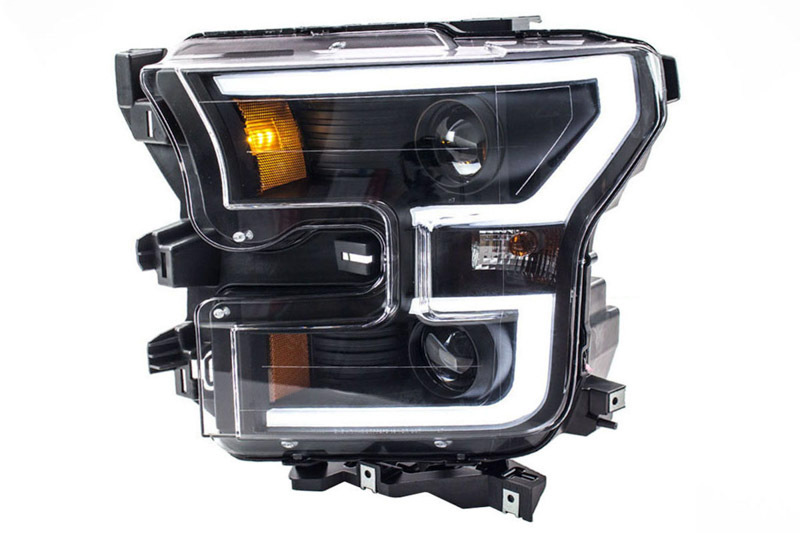 The LED strip has a dual function design with both a white running light tied into the factory parking light and an amber turn signal that makes these headlights some of the most unique on the market. 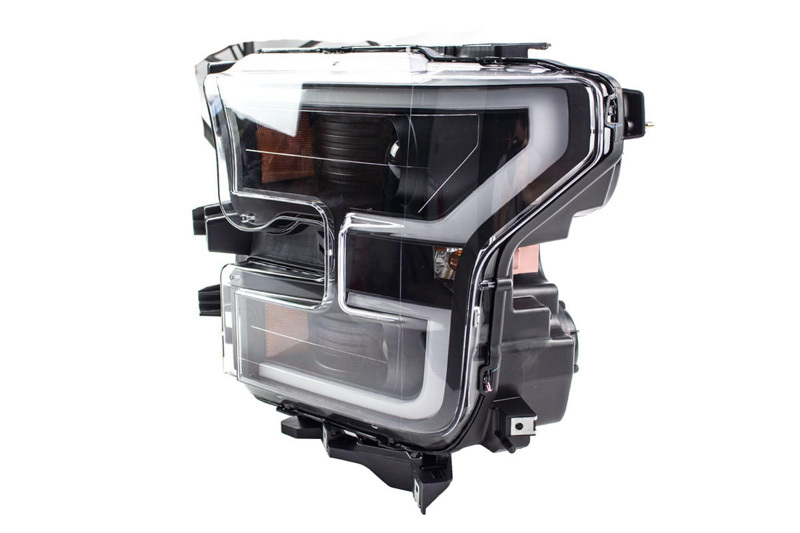 The headlights are fully sealed and come with installation instructions and a 1-year limited warranty. 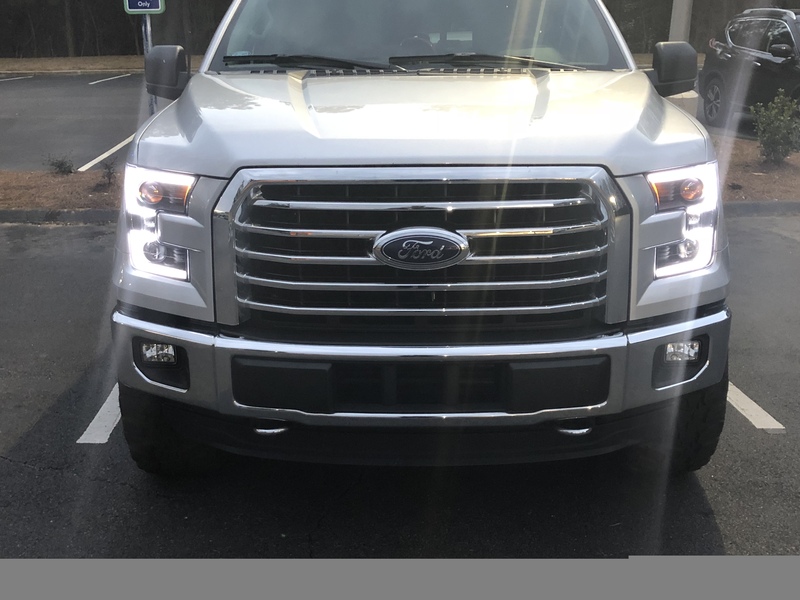 Halogen Reflector Replacements Only: these headlights will only work on F150s that came from the factory with base halogen reflector headlights. 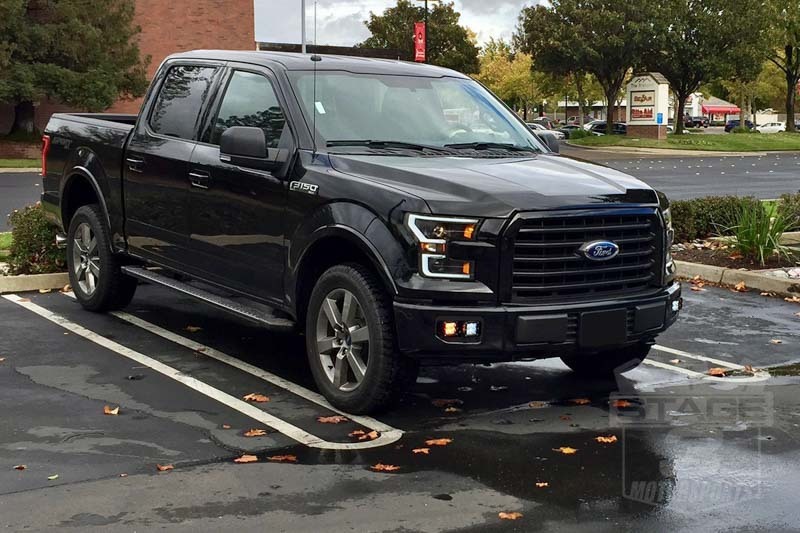 They will not work on F150s that came stock with upgraded OEM LED headlights. LED Conversion Kits: these headlights come standard with halogen bulbs. If you'd like to upgrade to an LED conversion kit, please select from our drop-down menus above. We've confirmed that each kit in our drop-down menu will fit inside the headlights and allow you to reinstall the dust covers/housing seals without modifications. Other LED conversion kits may also work, but you may not be able to reinstall the dust covers or housing seals due to a variety of factors. 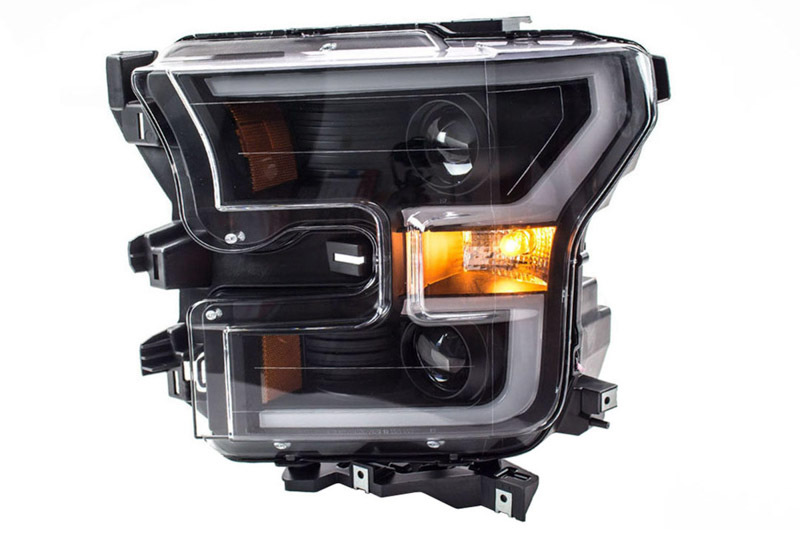 The LEDs will ship separately from the headlights in most cases. ANZO's Warranty: ANZO offers a 1-year limited warranty against manufacturer defects. Customers are responsible for shipping their lights to ANZO for any repairs, and will be responsible for the shipping charge back if the lights are sent in for warranty work outside of their first 30 days. Condensation issues are covered under the terms of ANZO's warranty. Read more about condensation and fogging over on our blog. MADE LED LIGHT STRIPS RUN WITH DRL. Easy install, about 3 hours. Black Housing looks good day or night, and gives it a sporty look. I replaced the four snap terminals that came with the light with NAPA's female snap terminals. Part # 784468 and red 16-14 ga male snap terminals. This allows easy install/removal of lights. I added a 3A Diode per side (Fry's electronics-NTE5802, 3A, Rectifier, Axial Lead Diode). Place the Diode with wires on both sides between the low beam wire (4-pin) and the parking lights (2-pin). Place the Cathode (band around diode) towards the parking light. The Diode will allow the LED strip to be on with the DRL and the Entry/Exit light Delay function to work properly, and prevents the low beams being on when the parking lights are on. 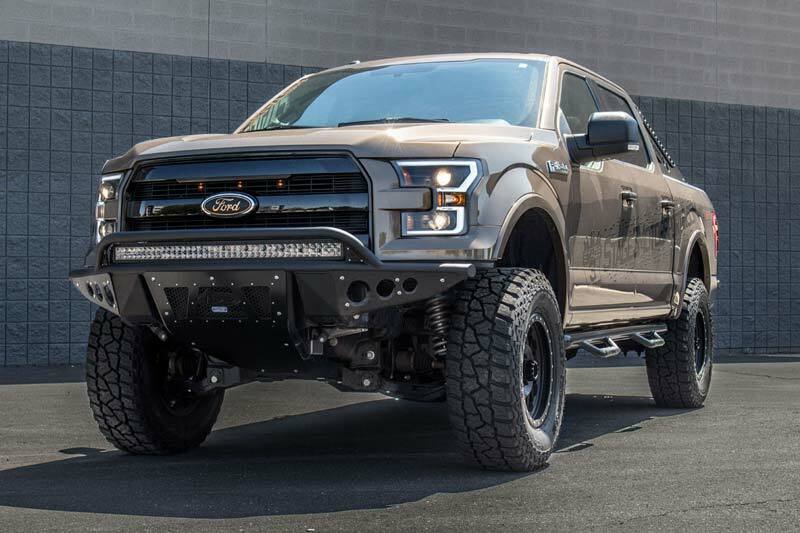 This also works with the Raptor Light Grill allowing it to work the same as the Headlight LED light strip. MAKE SURE YOU ADJUST THE HIGH BEAMS BEFORE FINAL INSTALL !!! I gave the light a 4 star only because ANZO could have done this all internally, then this could be a true plug and play. While the styling is quite nice, the functionality is deplorable. 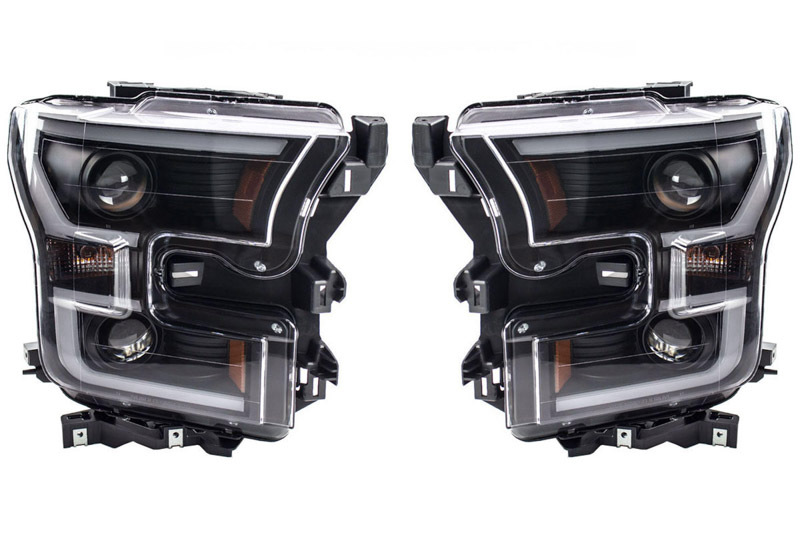 The light output from the low and high beam projectors is worse than the stock headlamps. I would send them back if I could.... Very displeased. 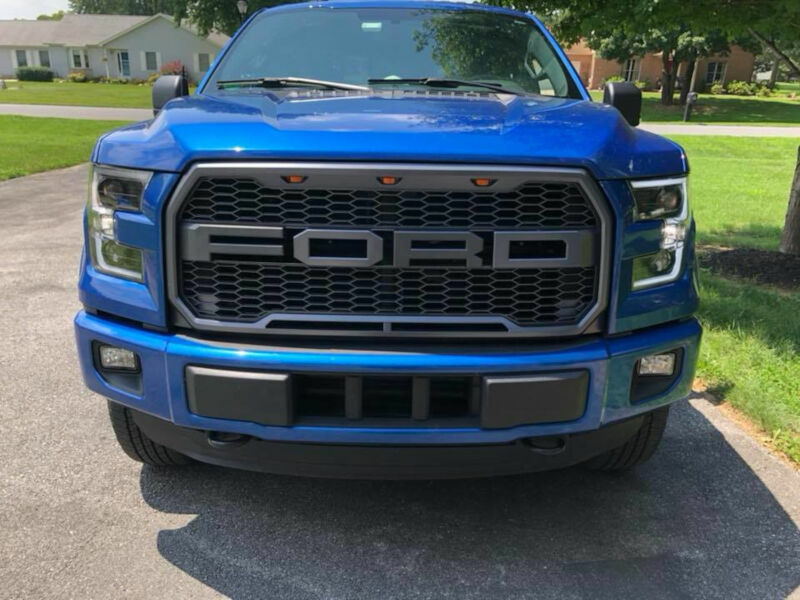 I purchased the 2015-2017 F150 ANZO LED Switchback Outline Projector Headlights (Black Housings), Part Number:ANZO-111357, for my 2016 F150 Lariat 401A. 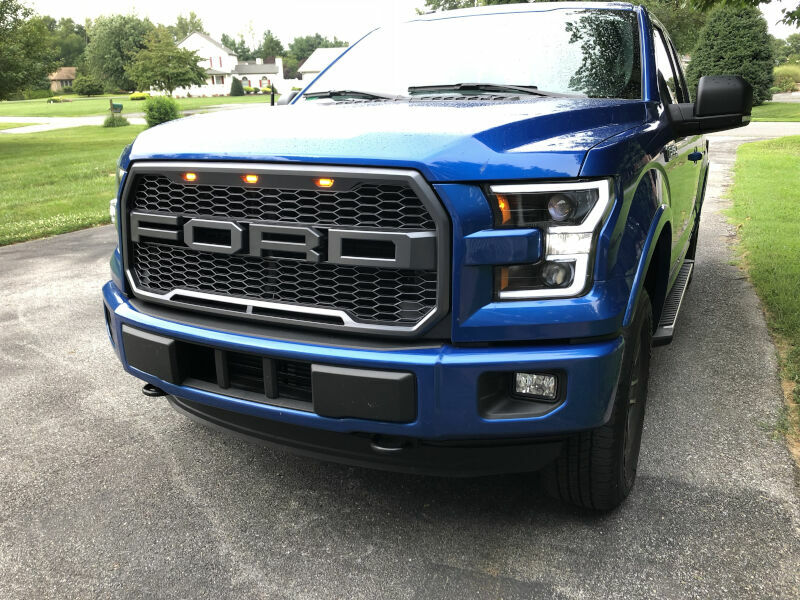 The look and functionality of my headlights is greatly improved after the upgrade and I would definitely recommend these to anyone. The Anzo lamps were pretty easy to install, but I took my time and reviewed the youtube videos several times as I did the job so it took maybe a couple hours. Even with the halogens supplied in the Anzo kit the light output was decent. However, I chose to upgrade the halogens to LEDs and did so with the Oracle H7 LED Headlight Bulb Kit, Part Number: OR-5225-001. I asked if these products were compatible and Stage 3 confirmed the LEDs would work, but admitted they had not confirmed the dust covers would fit back on in my exact application. I took a chance and ordered 2 LED conversion sets for both low and high beams. I discovered that the low beams worked slick (plug and play), however there wasn't enough room to put the dust covers on after installing the high-beam LEDs. I decided to not open the other set and just do the low beams. I am happy with both the light output and look of the low beams on the truck. Also having the halogens for the high beams really works sufficiently anyway. I ended up returning the unopened LED conversion set and received a prompt refund (just paid for shipping back). Overall I had a terrific experience with both these products and working with the company on the return. They were actually fun to install so for my next project I think I'm going to upgrade the fog lights to LEDs and when I'm ready I'll check out what Stage 3 has first! They look great and were simple enough to install once you watched the video online (no directions were furnished which is a negative). The lights themselves are horrible. For this kind of $$, you wouldn't expect to have to spend more on the lights....but figure to upgrade the bulbs as well. Looks - 5 Star. Performance and customer service - 2 Star. 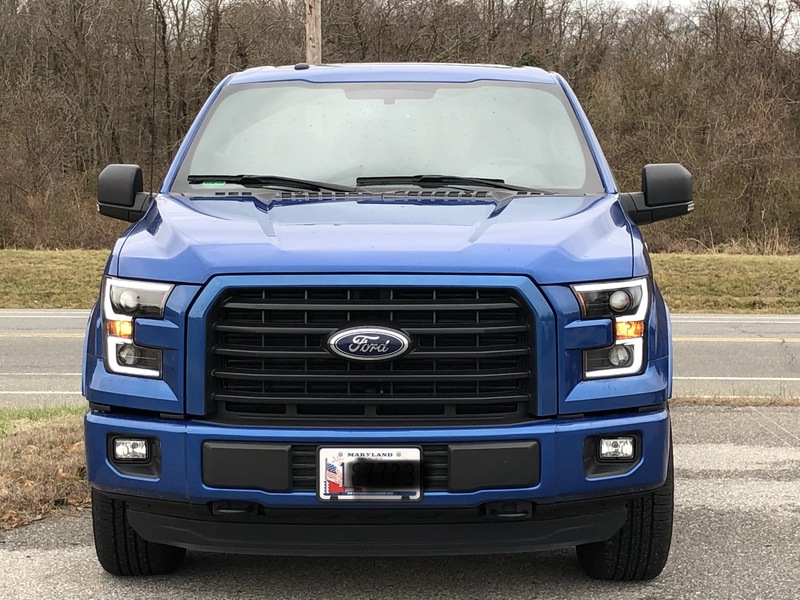 I really wanted to love these headlights, but I had to cancel my order because the white LED light does't stay on as a Daytime Running Light... it is only tied into the parking light. The headlights look incredible. Just a few things to note. 1. The one package(set of 2) came with a pack of the scotch locks for connecting the switchbacks to the blinker bulb. So I was short a package for the other side. 2. There are silicon packets in the headlights you have should remove before install. 3. The high beam adjustment is hard to get to once installed. Have to remove the fenderwell liner. Very fast shipping, Installation was very easy using their youtube how-to video(some minor adjustments because my truck had stock fenders). The headlights are working flawlessly with some LED bulbs from another vendor. Switchbacks are a nice feature. The Anzo headlights definitely improve the appearance of my truck (Magnetic) replacing the chrome OEM halogen units. I also added Morimoto fog lights to further remove chrome elements. The installation was relatively smooth. Anzo's video helped, but they were unable to demonstrate the way the fender trim was fastened as their truck had them removed already. Be careful removing them as one of the clips shattered due to being a cooler day. Some of the screws are a different size than they specify in the video (9/32 versus 7/32). Overall the removal and installation is a bit tedious, but I've dealt with much worse. I really like the appearance and functionality of these lights, but only gave them four stars for two reasons. The first is the splicing of the wires for the switchbacks. That could have been handled by wiring internal to the unit. The second is the low beam's coverage, which seems a bit less broad than the OEM ones. Lastly, I thought the stock lights were effective and these are about the same. The halogens, which I upgraded, are sufficient. 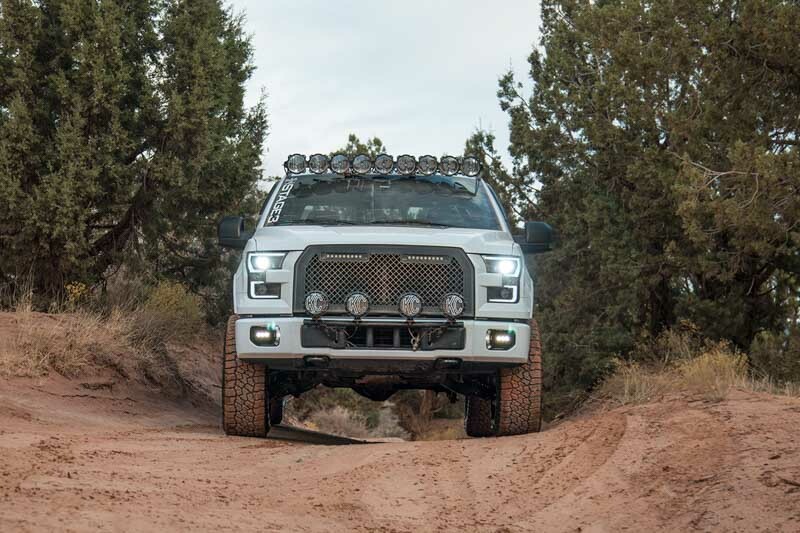 I don't want my normal headlights to be as bright as off road lights and I definitely don't want them to be pure white or blue in hue, which result in more glare. I highly recommend the ANZO units and appreciate having the LED perimeter and switchbacks. It makes the vehicle look better and improves visibility by others. These are great quaility and I completely love the look! They fit perfect and I was actually able to make my led headlamps work with these headlights. If I have to say one neutral thing is I wish the outline was on for the DRLs. These headlights are amazing even with the stock bulbs that come in them. Installation was easy following the install YouTube video by Stage3Motorsports. 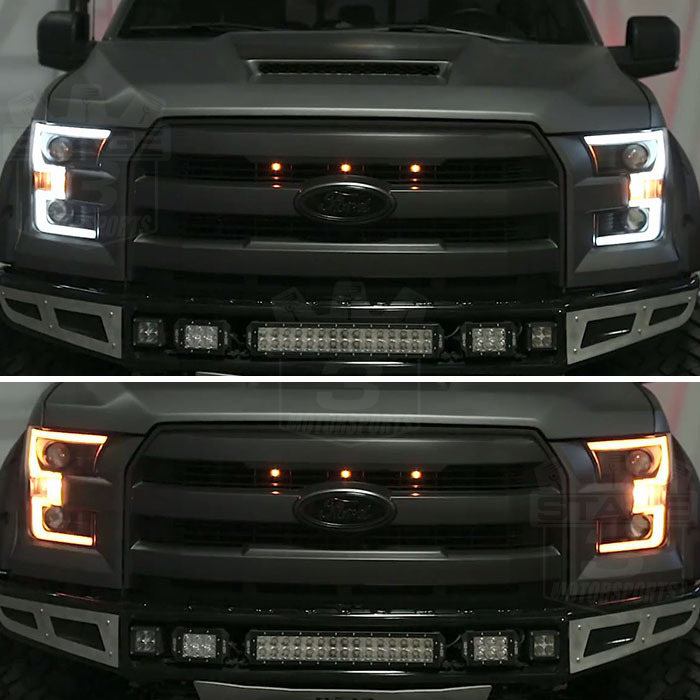 To add better vision at night and overall appearance to your truck the Anzo Switchbacks are the way to go! Install time- 45 min. 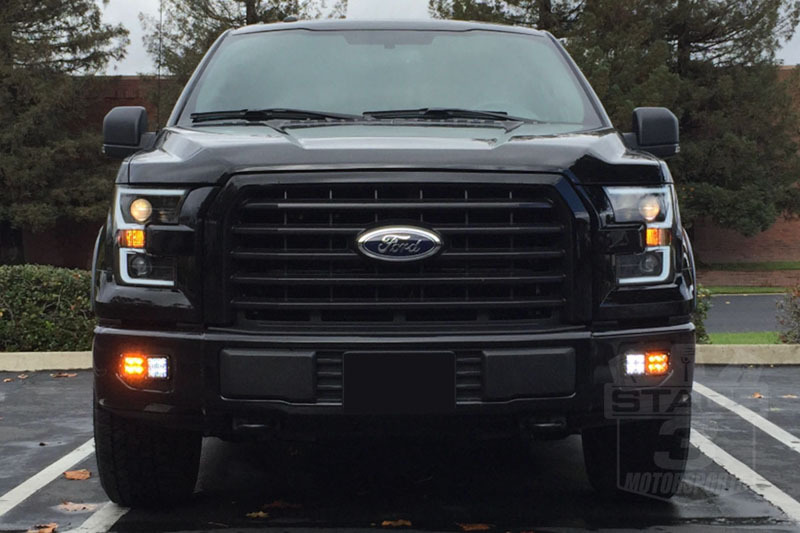 Installed on 2016 f150 xlt Headlights are very stylish and def turn heads at night. 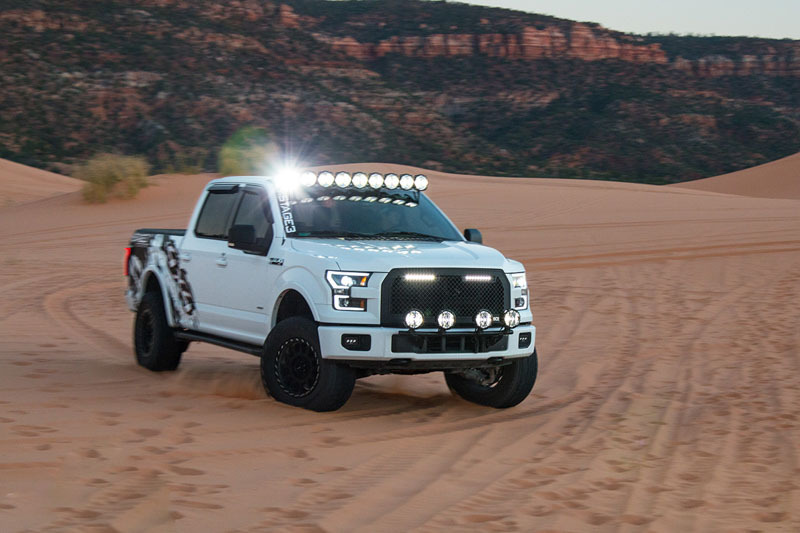 The white halo can be used as daytime lights if your truck has daytime light in settings on dash. I paired these with clutalux g9 series h7 bulbs and they look amazing..everything is plug and play except the amber halo turn signal..but is very easy and straight forward. Overall very pleased and my favorite mod by far. 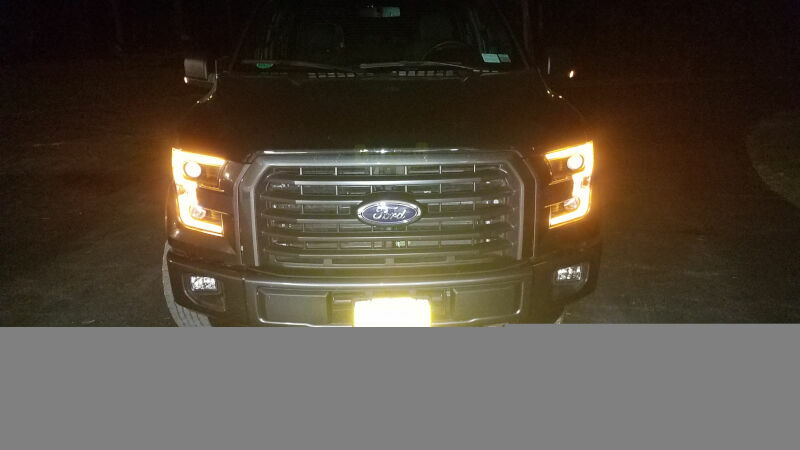 I went with these lights on my F150 because of the light output the projectors give and even better if you add a led or hid kit. They look stock and not overdone I've been asked numerous times are those oem.. I bought them through stage3 because of how fast they ship and most of all they have the best prices.. Absolutely love the headlights. Used forscan to make the halos run with my DRLs. Really easy install. Exactly what I wanted. Stage3Motorsports processed the order fast and I received them quicker than expected. Can't talk to the longevity of the lights as I've only had them on the truck for a couple weeks so far. 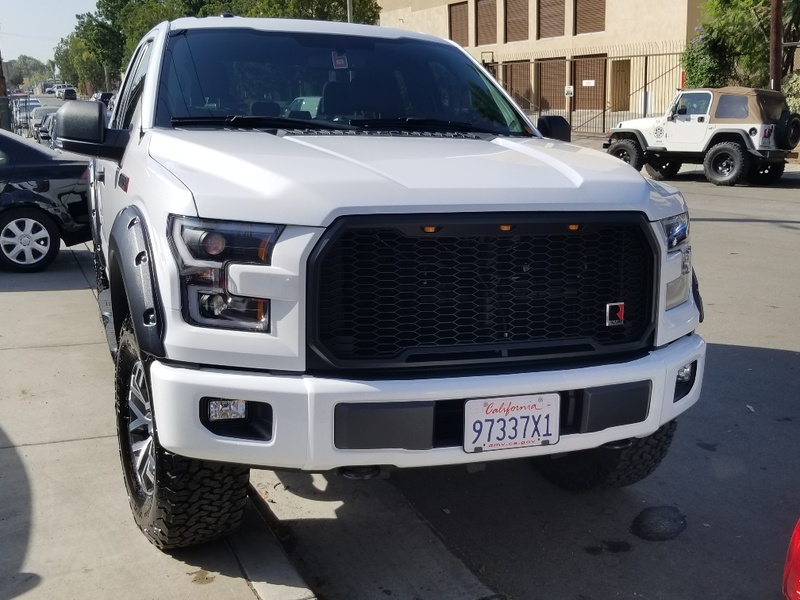 Gave 4 stars because of the necessity to use forscan to get the halos to run with the DRLs. LOVE these headlights! Took my husband & I about 2 hours, but that's including time to change out the grille too. I agree with others that say the halogens could be brighter, but they aren't bad enough to change out imo. Very happy with our purchase of the switchbacks! Took me 6 hours to complete the install, I highly recommend the crystalux G9 series LED upgrade to anyone. 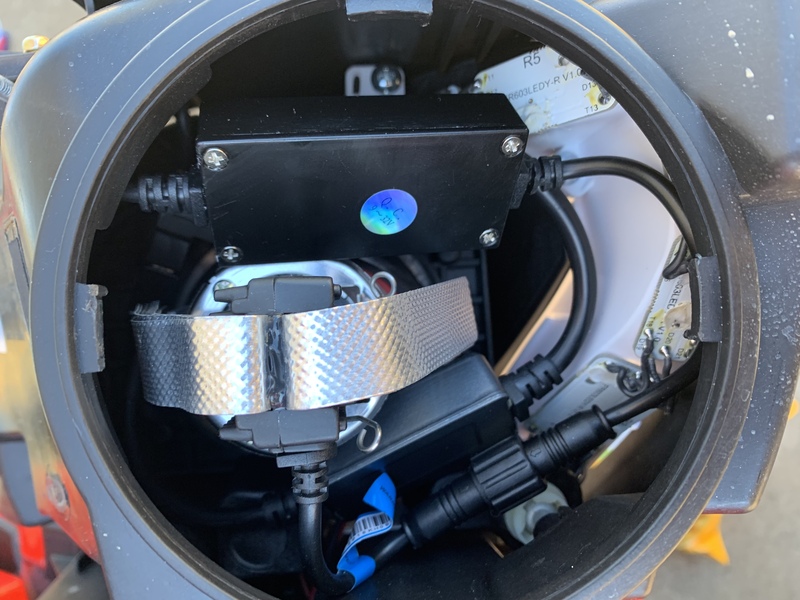 Was able to install low beam and high beam LED drivers and Canbus resistors inside the headlight housing using anzo covers supplied no rubber boot needed. no rattling or flickering, be prepared to have a bright set of lights. Unfortunately, the LED outline isn't bright at all and is difficult to see during daylight. Definitely a step down from factory LED daytime running lights. The outline strip is around the headlight is fogged and really lacks that clean LED look. Another disappointing feature is the halogen blinker bulb. The combination of the fogged LED strip and halogen bulbs looks cheap. If I could, I would return these headlights and go with something else. For the price, you get what you paid for. I wish the halogen turn signal was an led switchbackal as well. On that note. 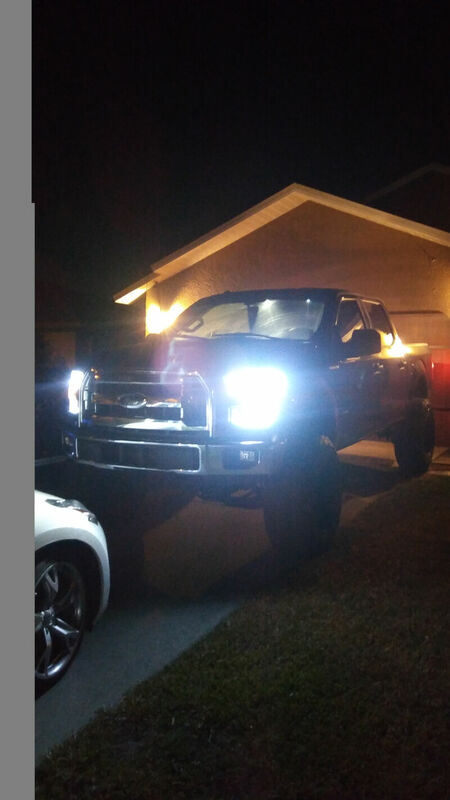 Buy the replacement switchback bulb from 4x4truckleds.com and install it while you have everything apart. I hate how I have an LED and a halogen bulb flashing side by side. It's not a clean look. This headlight paired with LED bulbs and the morimoto LED fog lights basically gave me three different colored white lights. The H7 bulb supplied with the headlights are junk so be prepared to spend some money on some HID or LED replacements. There was also some metal from casting in the low beam bulb holes that I had to file out so I could get the new bulbs in. Overall I had higher expectations but for a $500 set of Chinese headlights I'm hoping they at least never leak. 2 hours, very simple and easy to install, I watched a couple of YouTube videos before hand. Love them, zero issues, I did however purchase some third party l.e.d. h7 converters though so they would give me a whiter look. The original bulbs are very low and almost yellowish in color. Looks like a factory product. Switchback function is super easy to install. The passenger side wires are the yellow and brown for the brown wire on the headlight, and black for ground. The driver side brown wire goes to the yellow and blue. I believe they are both the outside wires of the 3. Be careful removing the two clips on fender flare, mine were quite tight. I also found it easier to unclip the bottom black piece on the truck to remove the headlights. They are a very tight fit, but fit like a glove. I added LED lights, they fit in the lowbeam, but won't in the highbeam so I left the halogen H7's. Overall, great looking headlight. For the money, these are great. Look good, great fit, easy to install. My only criticism is that I would like the led surround to work as a daytime running light, as I asked Stage 3 and was told it would be. I'm sure if I put my mind to it, I'll figure out how to make it work that way. I ordered from Stage 3 in response to an ad and a phone call to verify availability. The lights where in stock and received them with in 3 days. Install was a breeze and fit and finish was on par with oem. One caveat, I would purchase the turn signal led switchback bulbs to complete the upgrade. Light pattern and output better than stock. Great Customer Service, answered all my questions over the phone. Placed order order on a Friday, showed up Monday. I really like these headlights. It took me about 3 hours but that's because i had bad tools and had to take one of the headlights out again because the side panel wasn't sitting flush. They look awesome at night but during the day when it's sunny it's hard to see the led running and switchback lights. The stock anzo H7 bulbs are only slightly better then stock OEM h11 bulbs. I will be upgrading to the xhp h7 from 4x4truckleds once i hear the verdict on the new single led bulb that is made for projector housing. So far these lights are running well, i will update later in the future. 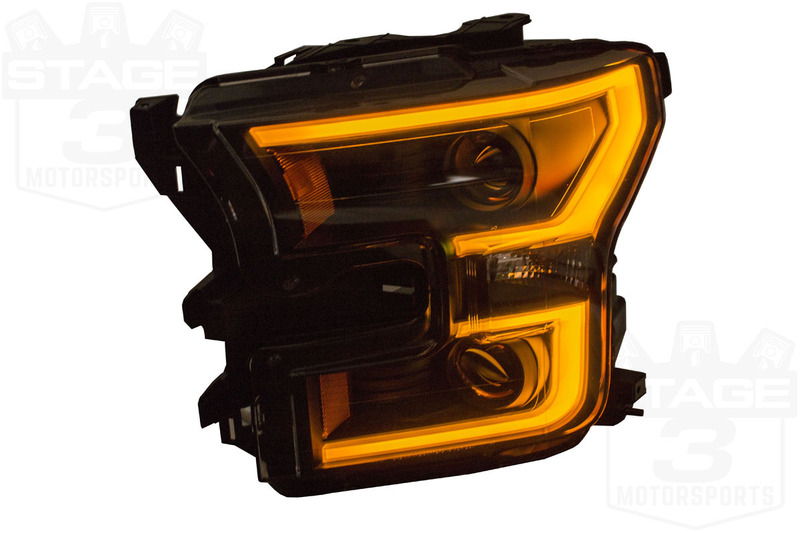 They go well with the morimoto xb led fogs i got when i ordered these. 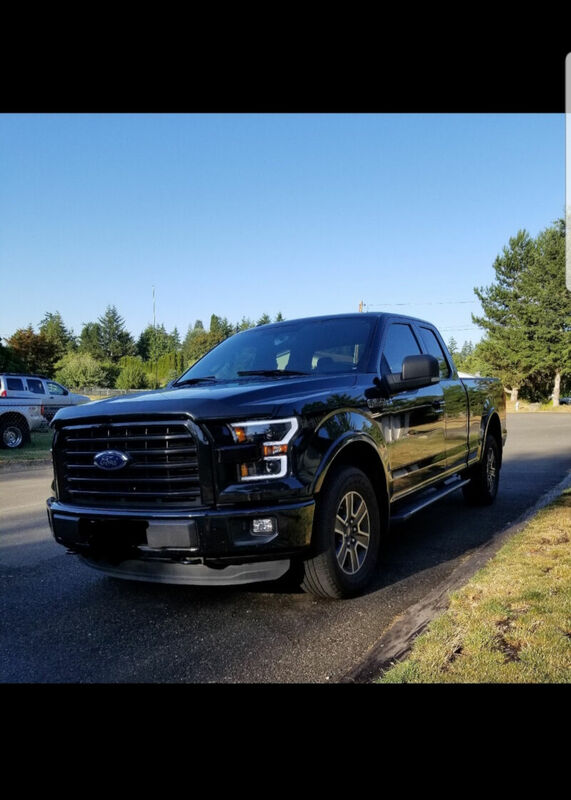 Install was very easy, highly recommend to any F-150 owners that have the OEM halogen reflector headlights. Install time was about 45 mins, and the switchbacks were very easy to wire. I watched the video on YouTube from Stage3. Overall I am happy with Stage3 and Anzo. I did have to adjust the beam pattern it was very simple to do. These headlights are amazing! 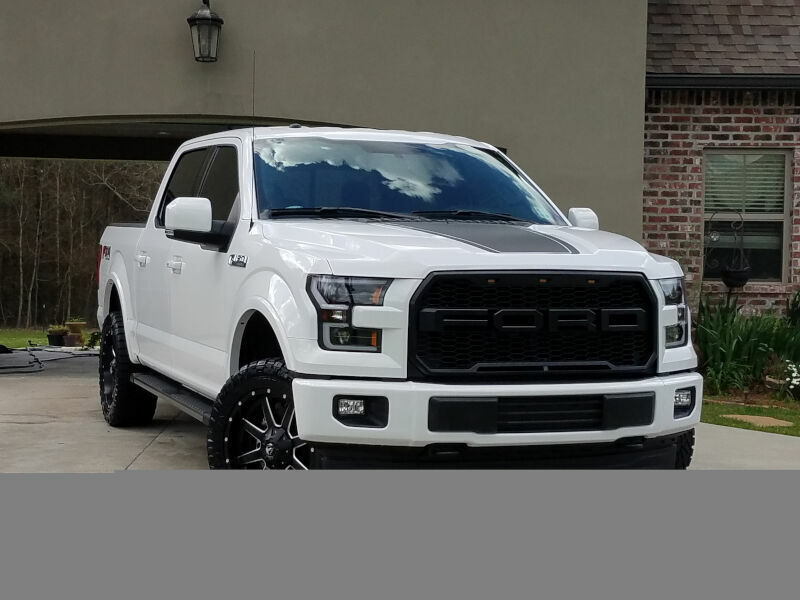 Install was quick and easy with Stage 3's install video. It took me about 2 hours to remove the stock lights and install the Anzos. They look awesome and the switchbacks are definitely the way to go. I get compliments everywhere I go. The headlights are top quality and the projectors are very easy to adjust. You cannot go wrong with these or Stage 3! Questions were quickly answered with patience. Product fits good and love the result! Absolutely recommend it! Great upgrade from the factory lights, and the look is so much better. I upgraded the bulbs to led's to complete the look. Install was not that bad. If you are only installing the headlights without upgrading the bulbs it will take about an hour to complete. For me getting the clips off the fender flares was the hardest part. Once that was done, it was pretty simple. Overall a great product and you can't go wrong with these lights. Install time: Approx. 5 hours Ease of install: 3 out of 10 Install is a pain due to Ford putting 18 bolts and 6 plastic tabs in the way of actually getting to the headlight. 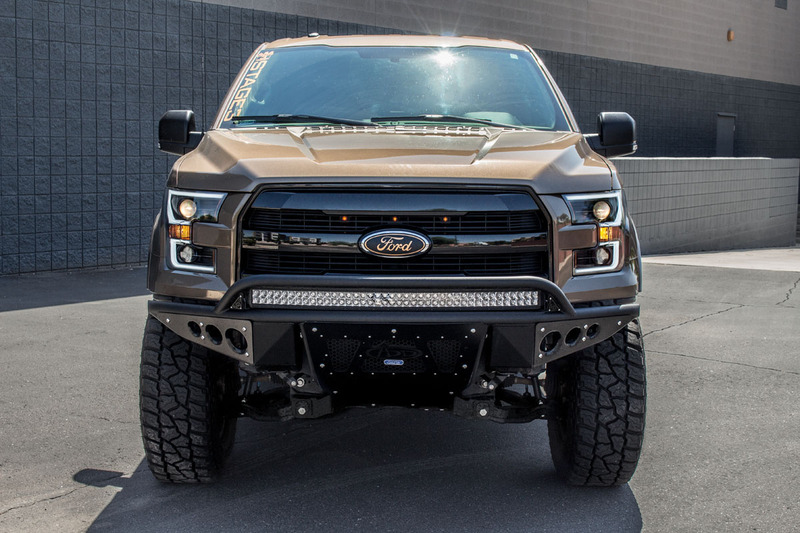 The headlights look amazing and add that extra look to the truck that I love. Definitely would recommend them but would say you need to be a little experienced to swap them out. Overall great product by Anzo as always. 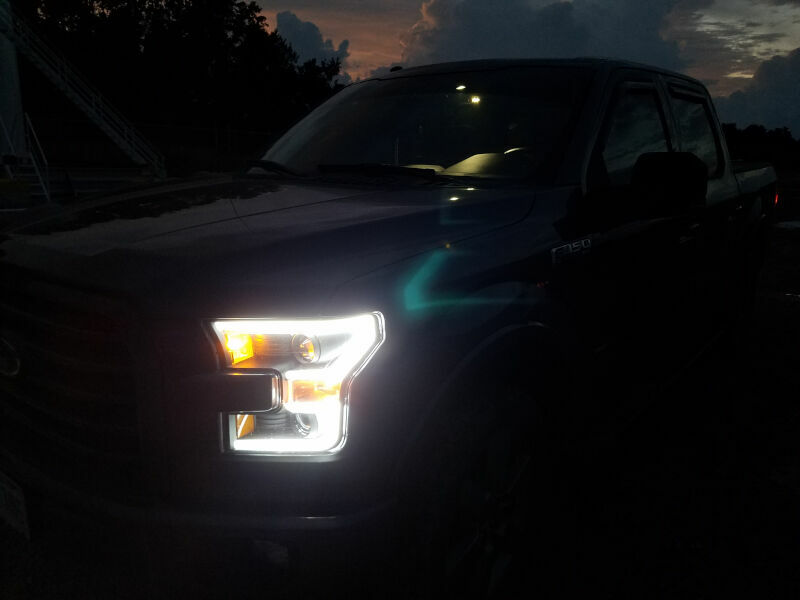 Added these lights to my F150. They look great. I was able to make the white led run off my DRLs. They fit perfectly. Took me a couple hours to install, figuring out the wiring for drls took me some time. Only complaint I have is the white lights aren't super bright. But they look great. Great looking out of the box, packed very well. Installation time onto the vehicle was only about an hour because I took my time. 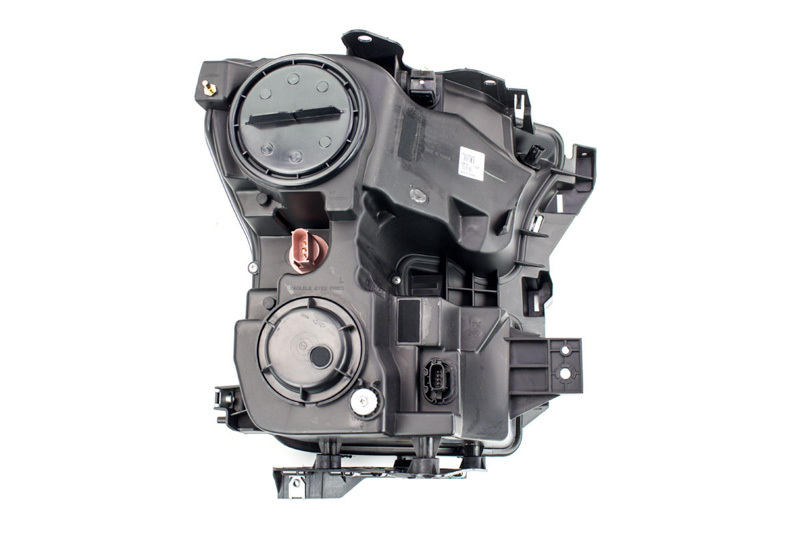 Connections for the switchback function to the vehicle wiring harness was extremely easy in part to the videos that are posted on Stage3 Motorsports website. I did not use the halogen Low and High beam bulbs because I swapped them out immediately to LEDs. My plan was to swap out the turn signal bulb for a LED as well but the LED did not fit correctly into the bulb plug which was due to the type of LED trying to install. Overall, I love the product and the look and performance is so much better, I can see at night now. Great shipping and customer service from Stage3 and will buy from them again. So I like the looks of the lights. My issue with these lights are with the install using aftermarket LED's headlights. I installed LED Low and High beams in these lights but the problem was, the hole to install the lights for the low beams were too small because of some metal in the way that made the hole smaller. I had to file the metal down for the lights to fit in the holes and now I have little shards of metal in the headlights with no way to get them out. If the little filed pieces of metal were not stuck in the light this would be 5 stars. Install took a couple of hours. Purchased the G9 LED Low, High Beam, XP80 Diode Dynamic turn signals, and resisters. Everything looks and functions great. Grey headl Guys , make sure to wire correctly , hard wire if you can with no quick connects. Also cut the orange wire if you do not want the parking amber light constantly on. I changed the bulb clear also. New lights work great. Excellent improvement. Even though there's a few more screws and clips involved in the removal of the factory lights than what the video showed , installation was quite easy. install was easy enough for a non-mechanic like myself however i wish the cable that needs to be clamped to make the switchback was longer. The LOOK IS AWESOME! Gives it a mean and aggressive look! LOVE IT! Perfect quality and a direct fit. I bought the Drl Switchback version of this headlight as it was so much more appealing. Installation time took me about two hours in my garage with the help of a friend. Note that if you do have fender flares they most likely have to be unclipped from the front so you can reach the last clip to remove the plastic securing the headlight. The lights for this headlight are size H7 and not H11 like stock so I couldn't install my opt7 headlights which was a slight bummer but it was worth the upgrade. Fast delivery. Great quality product. And fairly easy install. I added Led's along with morimoto fogs and the look is perfect! These were a painful instal as it was time consuming. Watch youtube videos to get a better idea. Light are great quality and the LED is moderately bright during the day. 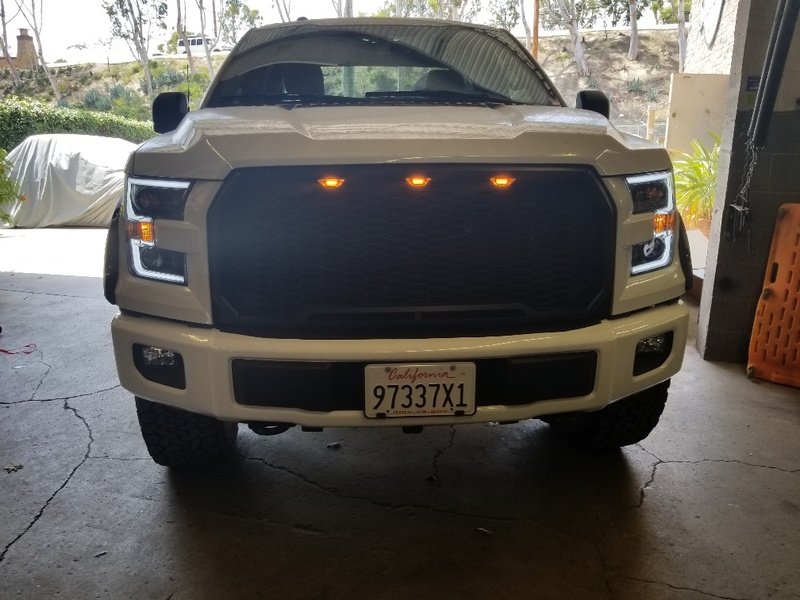 I paired the with switchback LED running lights from theretrofitsource (with the LED transistor) and the Morimoto H7 elite hid 55watt ballasts. These are bright and worth the money. After instal the lights needed a lot of aligning but the nob was easy to access. 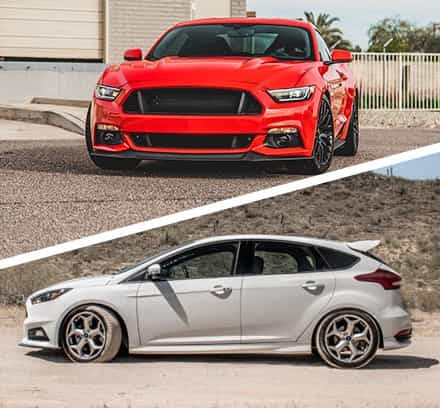 They have a sporty look but compliment the Ford Sport package well! Great lights. Very easy to install and they look great. Light output is better than the factory lights. Major upgrade over stock halogen headlights! Would recommend these headlights. Might just want to think about getting a set of hid bulbs that fit in these. First Off I received these lights on a Thursday and installed them Saturday. Install is extremely easy after watching the video associated with this sight. It took me about a good hour and a half, Not including chasing down the right damn tools! That is another story in its self, anyway the lights installed Beautifully! These lights are truly one the best upgrades available out there. Only real problem, and this is being honest, is the output of the standard H7 bulbs. I took a trip to the country at night and I thought something was wrong with my eyes, for real. I never noticed the lack of range before on any vehicle I've driven. 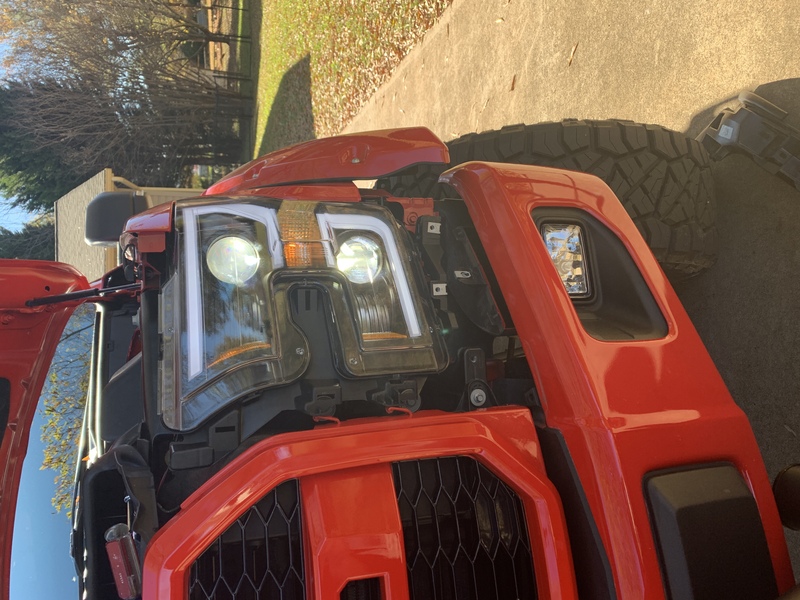 That being said Its Sunday and I am searching for some great LED lights to TRULY compliment these WONDERFUL headlights!!! There is no love lost for the product, just replace the halogen bulbs and you are good. I still give them a 5! Took about an hour. Easy to moderate difficulty. Just have to be careful with the trim clips. The lights look absolutely amazing. Very happy with the product. 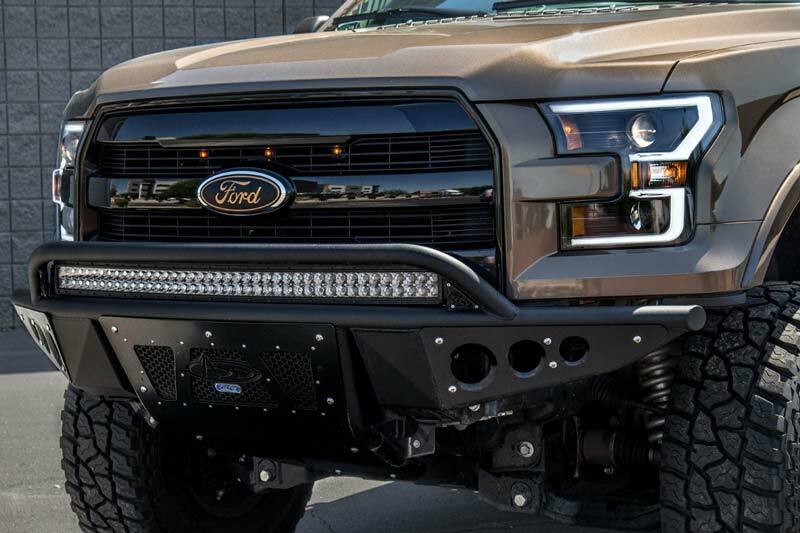 These head lights are what you need to add that extra aggressiveness. I watched the video numerous times which made it sort of easy to install. It took me first time truck owner about and hour 20 minutes start to finish(looking at video while doing it). The only issue I have; which I have anzo and stage3 whom both companies responded within hours, was that my passenger turn bulb went out/ stop working only after 2 months on and was working perfectly fine. I still have to check the connections and or replace bulb as directed but the weather here has been rainy. I would definitely give these headlights a 5 star but because it went from working perfect to now this I'm down grading to a 4 star. I love the look of my truck. The stock headlights did no honor to the truck. The Anzo switchback lights gave it the aggressive look I was looking for. I couldn't be happier with the outcome. Total install time was about an hour and a half. These Anzo Headlights were a breeze to install. They look great and have easy to access adjusters. The LED switchback look great. The sale was easy and the shipping was super fast! Look great. 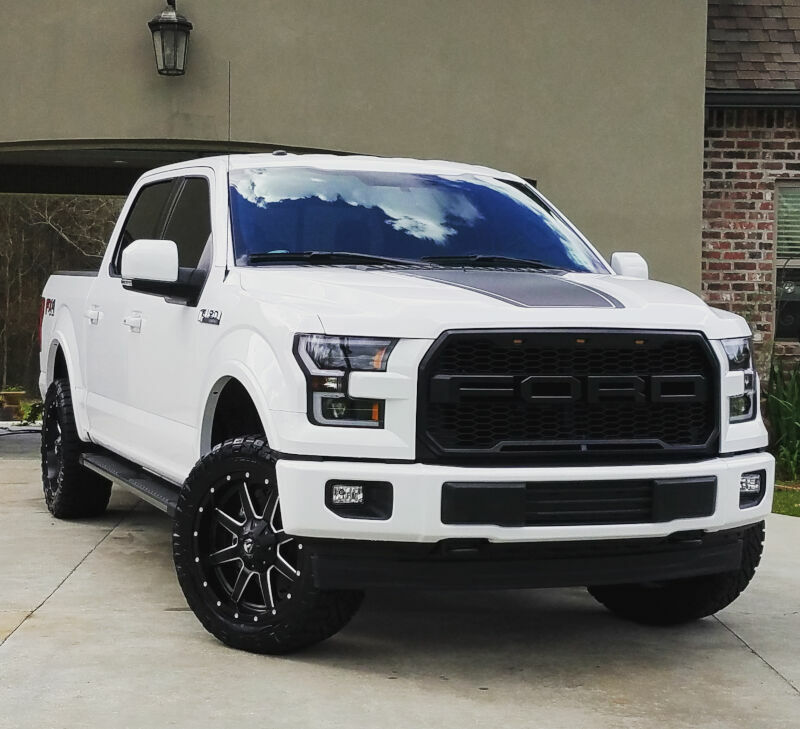 Made the truck look 100% better. The shop installed them for me and it took them all day long because they shorted out from the factory I guess. I love the LED halo and the switch back feature but don't feel the light output of the headlight is even close to the stock headlights. I am going to try different lamps to see if that helps. Easy installation and look really good. The are as bright as the factory lights but look a whole lot better. Fast shipping like the other products i have bought from this company i will buy again from them. 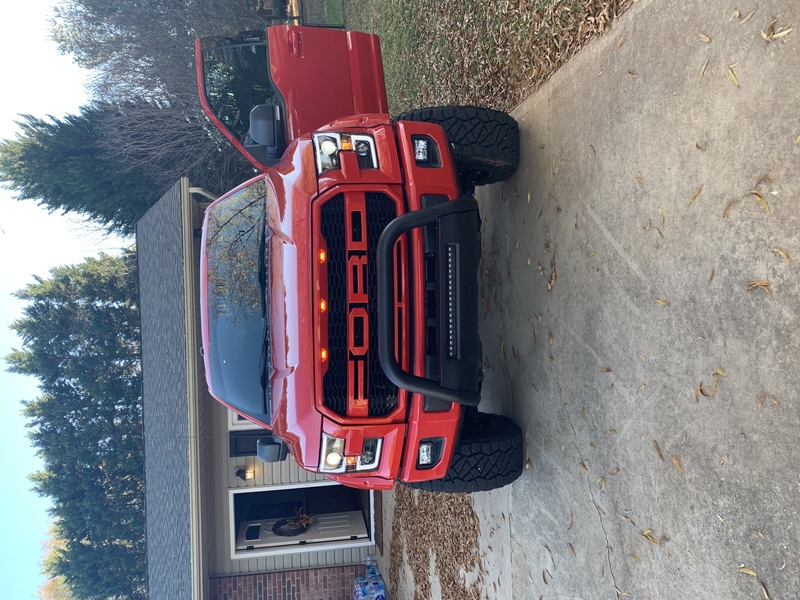 these lights look great on my truck i can't believe how great they look got many complements on the style and functionality of these light's great customer service. I have had these on my truck for a little over a year now. They fit perfectly and I have had zero issues with them. They are not as bright as the factory halogen lights but they looks way better. Install took about an hour and if you just watch the install video you won't have any trouble. Very happy with this product and stage3 as well! This headlights are the best out there! Love the headlights, these matched with led cool white bulbs look amazing. Headlights are great. Install wasn't too bad. Headlights needed a little more persuasion than the video made it seem. But still very helpful. As for the bulbs, the low beams (Oracles) fit perfectly with no mods or resistors. Problem I do have is radio interference (EMI). I will have to pull it apart so I can add ferrites; hopefully they will work. Also, the supplied instructions for the bulb adjustment was wrong. I just set the leds so they faced the sides and not the top/bottom of the light housing. On to The high beams (Crystalux) I had to cut a hole in the cover to fit the heat diffusers which I wasn't a fan of doing hopefully there won't be any water/moisture intrusion. I used pieces of the dust covers and silicone to make a gasket. And unless I'm missing something, there is no way to use the dust covers (in their intended form) they are too small. If there is a way they need to add instructions. For me it was a waste of 20 bucks. These are the best lights on the market,super easy to install. I added led bulbs , Had them 2 days and already had a hand full of compliments and people asking where did I get them ???????????? These lights were an easy install just following the videos. The fit and finis seem great and I did the upgrade to the LED low beams. NOTE: there are no instructions for aiming or adjusting the LEDs and it is necessary. Remember to adjust the bulb mounts before you reassemble all of this housing in the grill. Delivery Time: 5 Business Days (Sat/Sun aren't business days) Install Time: Less than 2 Hours I replaced factory headlights and I am very satisfied with the overall look. I get complimented everywhere I go. I couldn't have made a better decision. When they ask where to buy them I say, Stage 3 Motorsports! The lights did not come with directions, However with that being said. I had no problem doing the install. Each side took approximately 20 minutes. I did watch a you tube video prior to installation, just so that I would be familiar with the assembly themselves. Lights fit perfectly and look great!! Looks awesome and works well! Easy to install and look great! Very happy with the clean look and the light output with the LED conversion kits too. Highly recommend these headlights. The anzo switchbacks are great. Turn them on with forscan and your in business. These were in my truck for about a year when I started having an issue with the switchback function on the driver's side headlight. I reached out to ANZO customer service about 12-1/2 months after purchasing them, sure that since they were two weeks past the year date they would not be willing to help me out. However, I am happy to say that I was proven wrong. They weren't the fastest at responding, but they did agree to replace both lights under warranty, free of charge. The process was a little convoluted, as I had to go through Stage 3, who also wasn't the fastest responding, but eventually I was able to get a new pair, send the old pair back (ANZO covered the shipping - another +1 for them) and get a full refund. The whole process from commencement to refund was pretty long - about 2 months, but in the end I have 2 great-looking and fully functioning headlights. Glad to see that ANZO stands behind their product, and for that I can fully recommend these lights. Very happy with the overall product and quality. Install isn't to difficult, just take your time. (A couple youtube vids will be your friend) Install time was about 2 hrs/ 1.5 hrs for the first light and 0.5 hrs for the second. The most difficult part is figuring out how the truck comes apart and removing the factory light. I also ordered the Oracle LED's for the low beam. Install is easy. The projectors have a nice cutoff and the added LED's, while not quite as bright as I expected, do have nice light output. Headlight adjustments are just as easy as factory. All in all I'm am very pleased with the purchase! 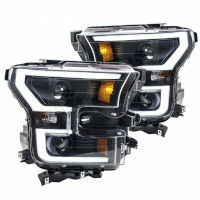 I bought the anzo switchback headlights with crystalux h7 g9 for high and low beam lights. Everything fits in the lights compartments and no need for extra caps they send you. The lights were very good..with led lights.only problem i had were there were no instructions all the writing was in chinese..and last time i woke up I was in the USA.SO KNOW WHAT U DOING before u try installing. Pretty easy install. The splicer clips that come with it make the wiring easy. Took my time and it took a little less then 2 hours. Great results. Looks very good. I switched to LEDs (high and low beams). Much brighter and feels a lot safer on back country roads. The Anzo Swtichbacks came packaged well. A little more involved to install than I anticipated. On one of the lights, the DRL did not work. I found the plug was not attached to the wiring of the DRL. I was able to correct. Overall it is a nice upgrade. I also purchased the CrystalLux Low Beam bulbs with the Canbus canceler. I live in the country and can't see anything at night with theres bulbs. I contacted the vendor who supplies them to Stage3 and he advised I reinstall them. I did so and confirmed correct installation. They just don't put out enough light! Was not that easy to install. Once first one done it’s a bit easier on second. The blinker light is barely held in there and wouldn’t stay. Needed to silicone it shut so no water would gets in. These lights are poorly made in my opinion because of this issue. 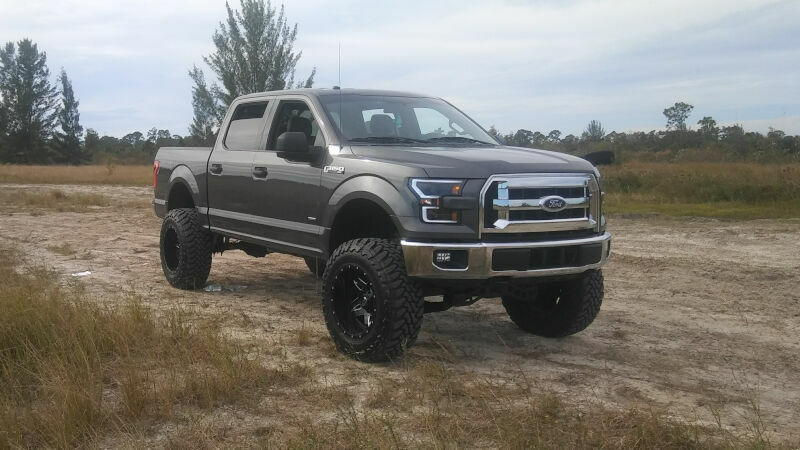 If my truck .’. pulled apart I wouldn’t have installed. If they leak water I will spend the money on Morimoto ligh. They do look good but those blinker lights not fitting in the housing really worries me. Maybe I got a bunk set but I doubt it. I’ve had these lights on my truck for about a year now. So far they have been great! Install was a little harder then made to seem. I had a hard time get the stock connector to snap in to the headlight housing and actually had a the clip break off from headlights but I over came it with some pliers and some electrical tape. The low beam output isn’t great but the high beam is alright. 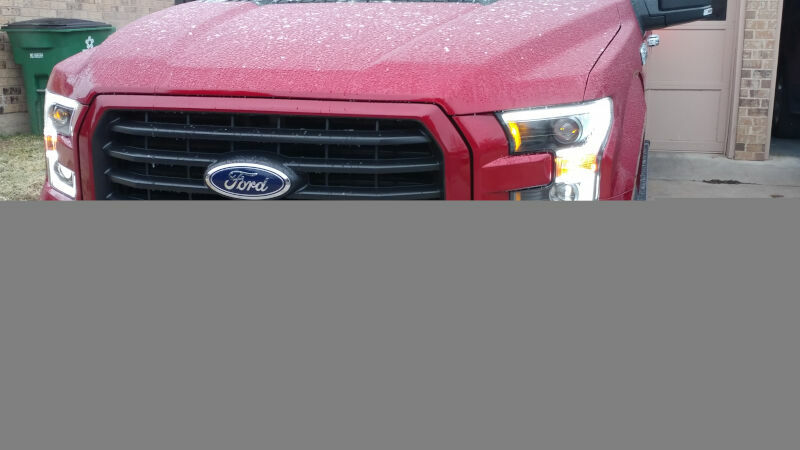 I tried switching the over to the LED lights but because I live in Colorado they snow tends to build up on them when driving in the winter and this was a problem because LEDs don’t get enough to melt the snow which makes night driving hard. So I switched back to the lights it came with. All and all I’m really happy with these headlights and glad I got them. For the price they are awesome and I love how they look especially at night. Good looking lights. Had them professionally installed to avoid issues. Took about 1 hour and a half to install,i did have to buy the scotchloc connecters. These lights are awesome, have had many compliments about my lights. 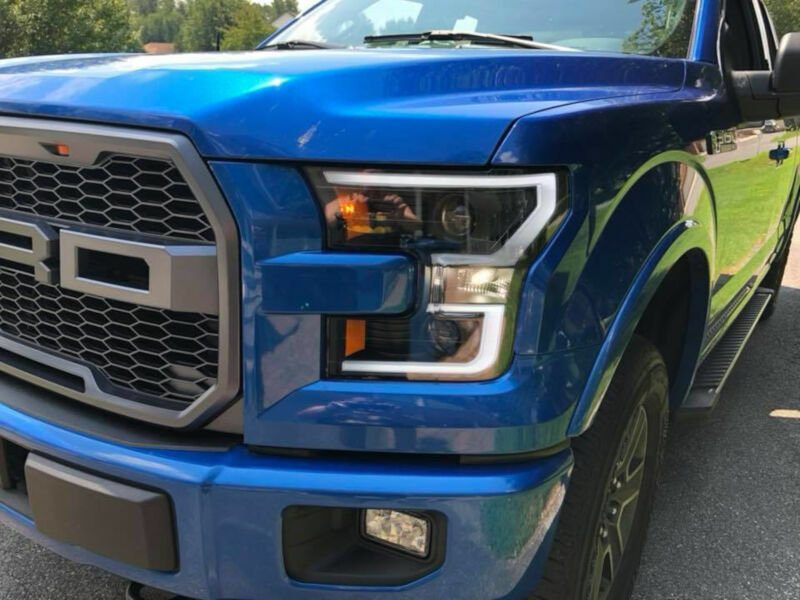 Some of the people even said it looks better than the raptor head lights. Easy install, pretty much plug and play. I replaced the stock anzo H7's with LED fanless headlights. There is more than enough room for these lights to fit and boy are they much brighter! Aiming was easy, overall install time was about 2 hours for me. Please with these lights. Good product, and decent shipping speed from Stage3. Install was a breeze and lights work great. Definitely look nicer than factory chromies. Does the price include a pair of just one headlamp? The price is for a pair of headlights. Was this answer helpful? 26 of 28 Found Helpful. Does the white LED stay on while driving? or only in park? Also if it does stay on during driving, is it on during day time or night time or both? 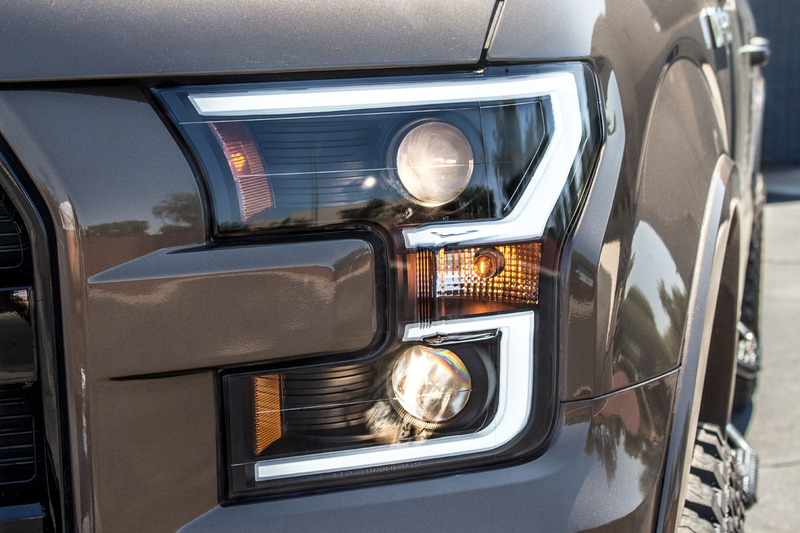 From my understanding, the white function of the outline is still tied into your F150's parking lights, so it won't stay on constantly like a true daytime running light. It will only turn on with your parking lights, if you manually select your parking lights, or if you turn on the low beams. Was this answer helpful? 13 of 15 Found Helpful. 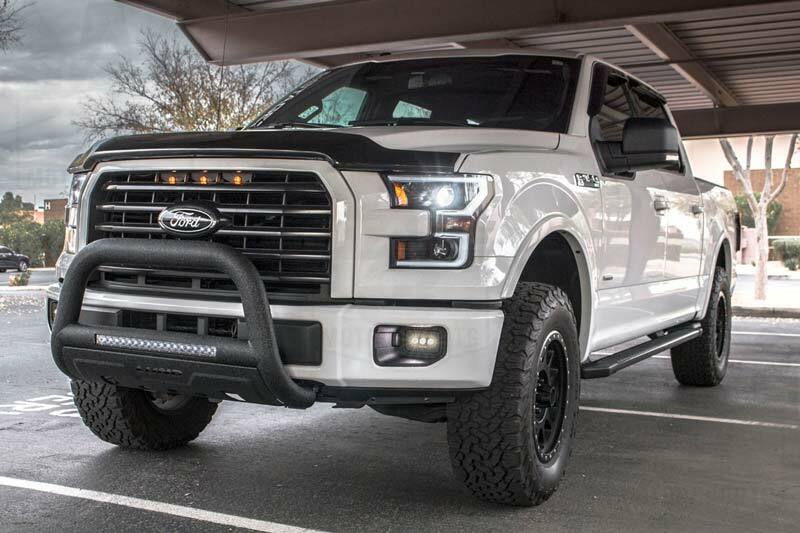 I would like the white led strip to function as a drl by cutting the parking light (which it runs off) and connecting to an ignition power source on the passenger side fuse panel so they turn on when ignition is on. My question is, will the led strip switchback function still operate properly? I'm assuming it will since the yellow and white led strips function off separate source/wires and the switchback is not compromised, but I want to make sure before I buy. Thanks for your help and assistance. The amber switchback should still function the same, since the switchbacks are tied into your truck's turn signal wiring with their own leads and you'll only be altering the wiring for the white parking lights at the connector and not at or before the module that regulates the turn signal/running light functions. 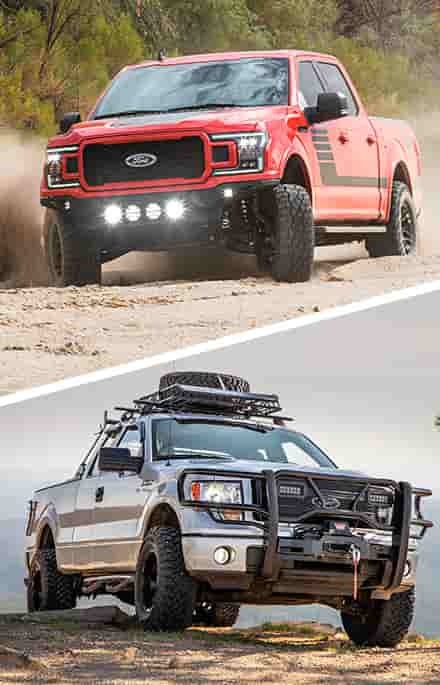 So, I hate the factory lights from ford, and have wanted these from the moment I saw them. 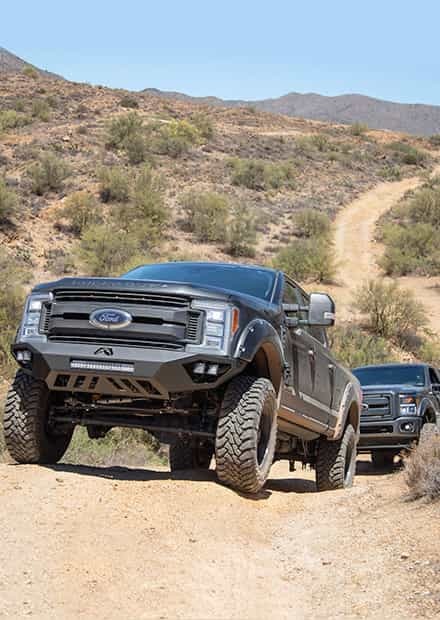 I have one concern about the switchbacks: Will they interfere with the standard turn signals inside the vehicle, or cause hyper or double flashing? The will not. 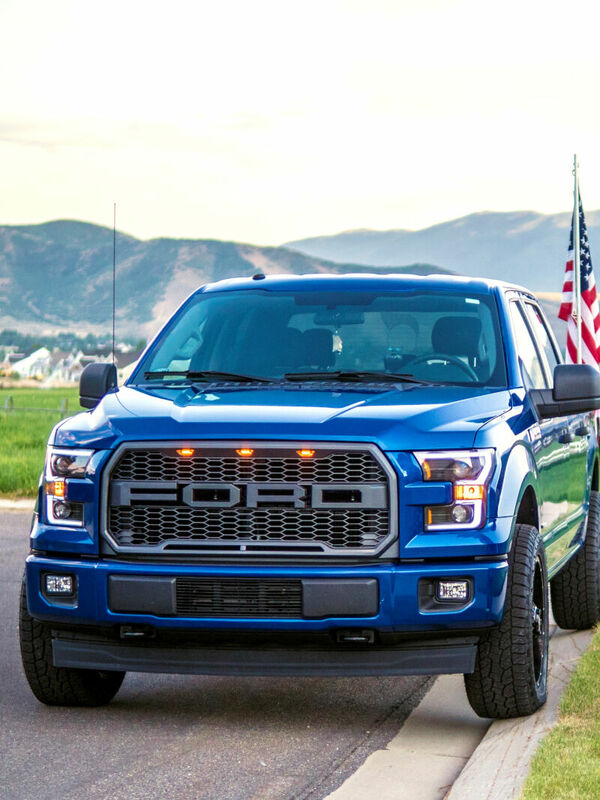 The turn signal function for the LED outlines requires wiring into your F150's turn signal harness. Since you're not reducing amp draw in the turn signal circuit like an LED replacement bulb, you won't get hyper flash or other issues. Was this answer helpful? 6 of 8 Found Helpful. 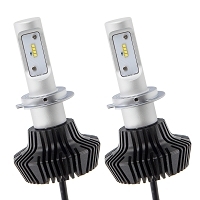 Will I be able to upgrade my bulbs to LED/HID kits in the Anzo headlight housings ? You technically could, though there are a couple of things to keep in mind: 1). 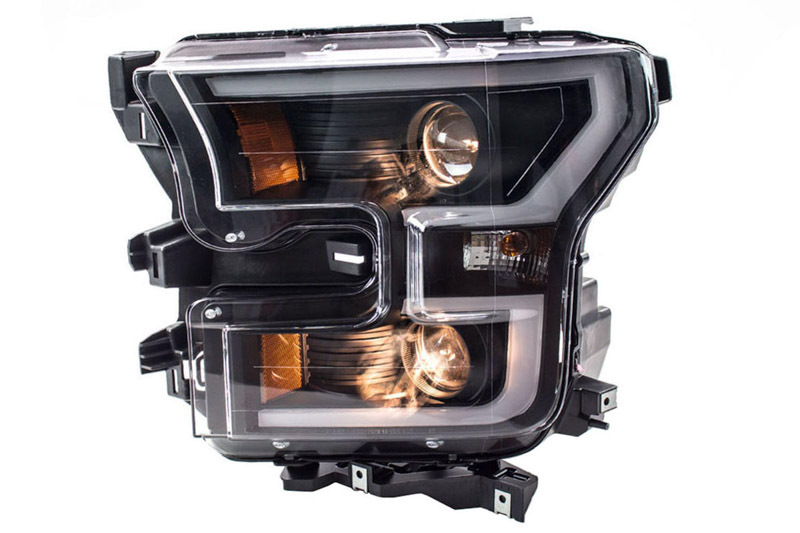 You'd need H7 LED/HID conversion kits instead of general stock replacement H11 or 9005 LED kits, since the ANZO headlights use an H7 halogen bulb for both the low beam and high and high beams. 2). 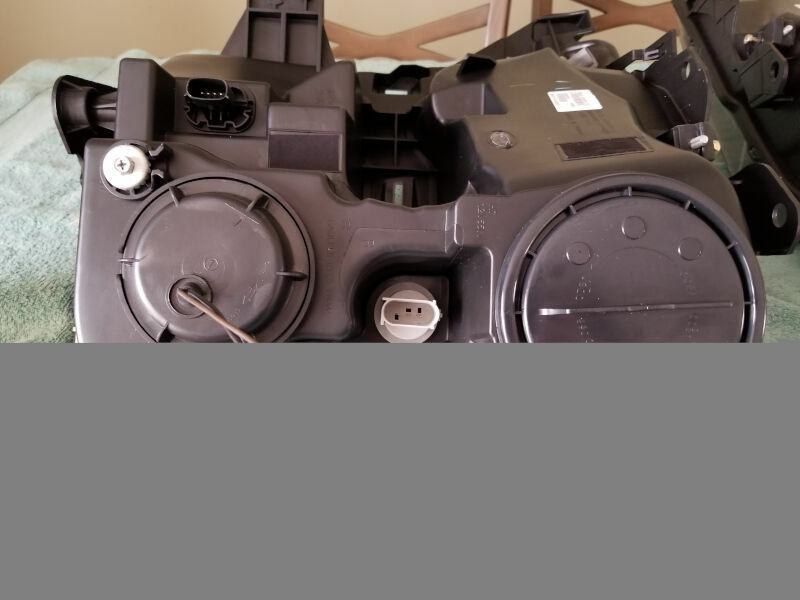 Depending on the size of the bulb/fan assembly and the LED drivers/HID Ballasts, you may not be able to reinstall the headlights' dust covers/bulb housing seals. 3). 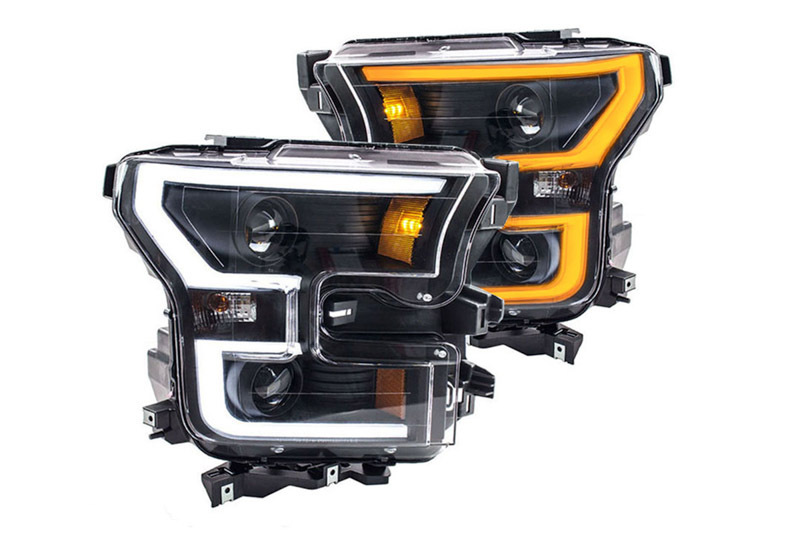 These headlights are only DOT-approved for use with halogen bulbs. What kind of bulbs does this come with? H7 halogen? What is the intensity? 5000k? 6000k? The included bulbs are H7 halogen bulbs. The color temperature is a pretty standard 4300K. Was this answer helpful? 6 of 7 Found Helpful. 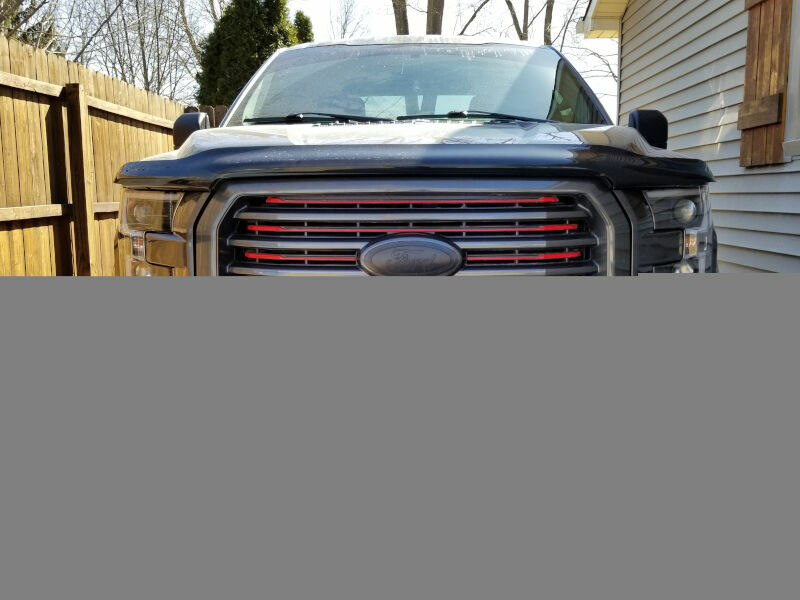 What's the easiest way to make the white LED strips as my daytime running light intead of just parking light? 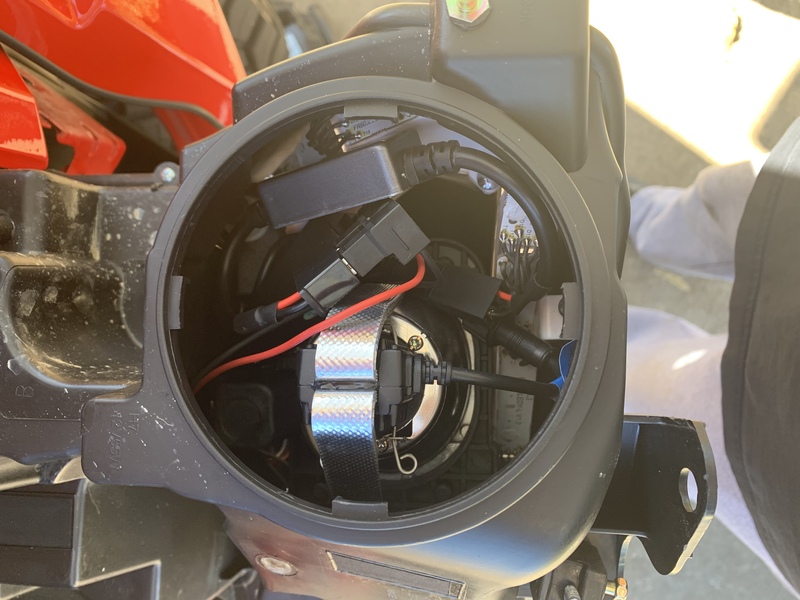 The only real way to do it is to cut off the connector for the parking lights, extend the wiring, and then tie it into a constant 12V ignition-activated power source or fuse. Can the amber light be set to run instead of the white. Or can the switch back feature be switched (colors)? Not without custom wiring. The white color is tied into your parking light bulb, while the amber is wired into the turn signals. You'd have to cut off the connector for the parking light on the headlights and wire them into another source, and then tie the amber into either the parking lights or a DRL source. I want to replace the halogen bulb, what halogen bulb will fit? 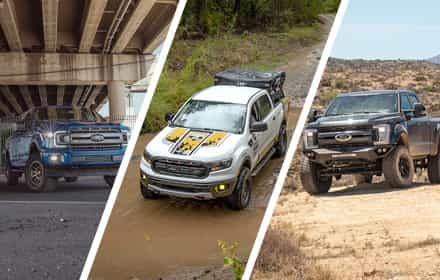 Do I buy one that fits the original ford housing or do I have to get one for anzo? Both the high beam and low beam use H7 automotive bulbs. 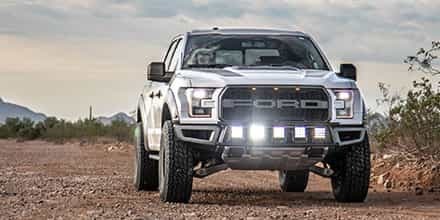 Can I use aftermarket LED bulbs for low and high beam, such as the ones sold by f150 LEDs instead of using standard bulbs? You technically could, though there are a couple of things to keep in mind: 1). 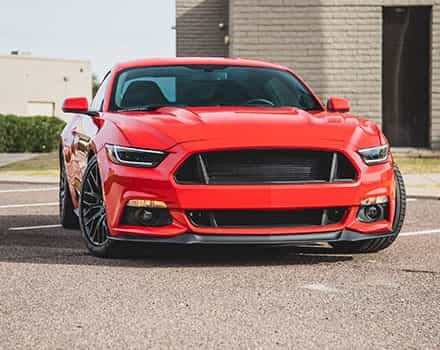 You'd need H7 LED conversion kits instead of general stock replacement H11 or 9005 LED kits, since the ANZO headlights use an H7 halogen bulb for both the low beam and high and high beams. 2). 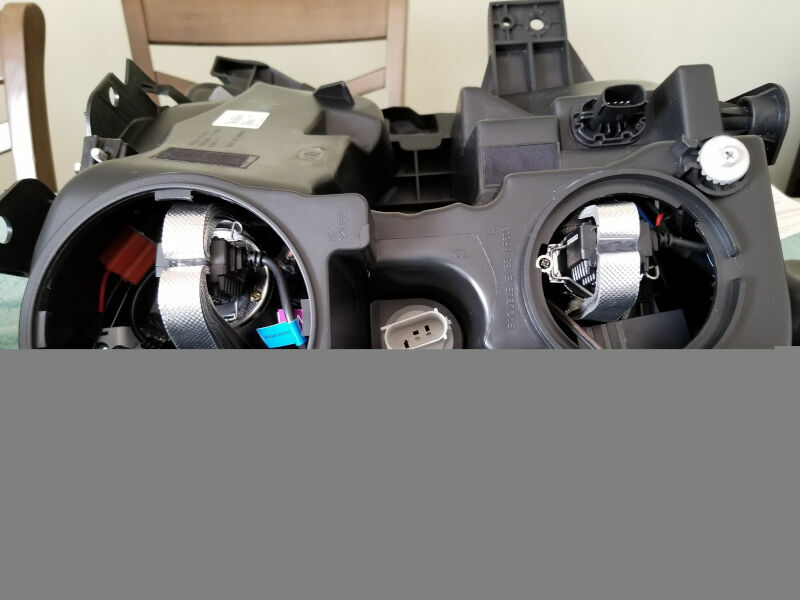 Depending on the size of the bulb/fan assembly and the LED drivers, you may not be able to reinstall the headlights' dust covers/bulb housing seals. 3). These headlights are only DOT-approved for use with halogen bulbs.